I’Esha Ali is an African American talented young artist who resides in Sanford FL. She is age 15 and is presently being home schooled since the 7th grade and is now in the 10th grade. She has been attending classes at Hyder Gallery Center for Fine Art for over 2 years. She earned her certificate from the Gallery and is now in the advanced classes. I’Esha has been loving art since a young child when she won her first Art Award in Kindergarten which was a portrait of herself with her two dogs. She still has that picture. She has won many other Art Awards throughout school and has a large portfolio as you will see here. She absolutely adores animals and the plant kingdom which is her signature. A pod of dolphins playing in the surf. Prints available soon. 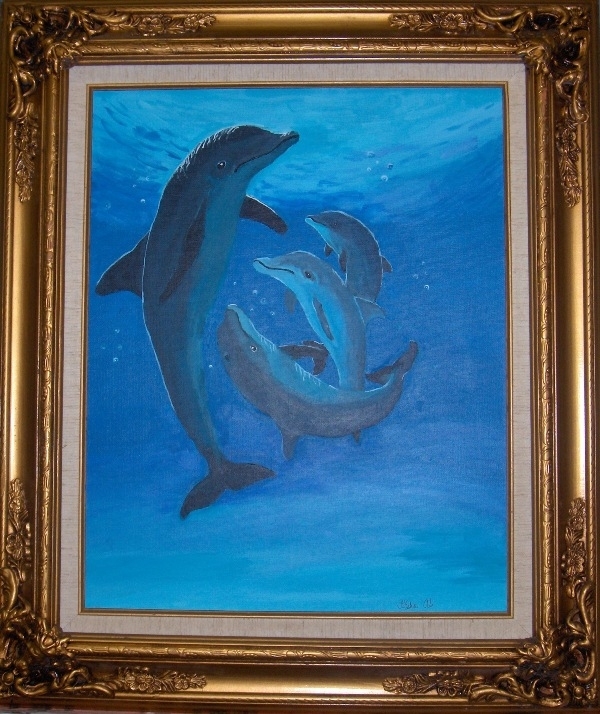 I really enjoyed painting these dolphins because I wanted to do something different and underwater. I am attracted to dolphins because of their curious nature. The original is too dear to me to sell so I am making prints for those who want to collect my work..
Iesha Ali Professional Artist I’Esha Ali is an African American talented young artist who resides in Sanford FL. She is age 15 and is presently being home schooled since the 7th grade and is now in the 10th grade. 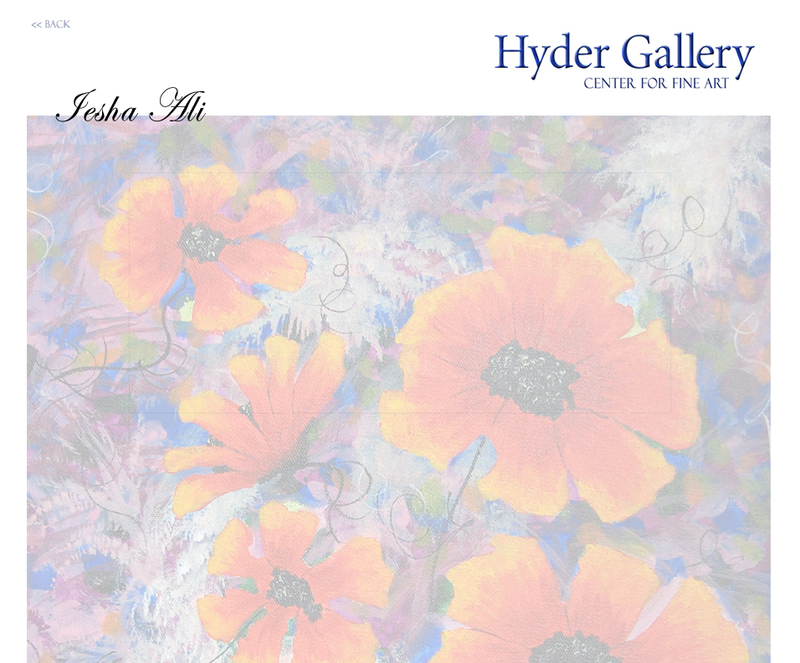 She has been attending classes at Hyder Gallery Center for Fine Art for over 2 years. She earned her certificate from the Gallery and is now in the advanced classes. I’Esha has been loving art since a young child when she won her first Art Award in Kindergarten which was a portrait of herself with her two dogs. She still has that picture. She has won many other Art Awards throughout school and has a large portfolio as you will see here. She absolutely adores animals and the plant kingdom which is her signature.